The most important thing to avoid is selecting a payroll option based on cost alone; if clients do not do their part, they will suffer the consequences. In fact, it could cost them much more in the long run in penalties and fines, plus consulting fees, to get it all straight. What software program are they using? How are they entering in their time? Are they disciplined enough to make pay taxes and file returns? The last question is critical. If your clients are not consistent or capable of ensuring that taxes are paid and returns are filed promptly, we would highly recommend they sign up for a full-service payroll solution. Pro Tip: If your clients are going to print checks, make sure you order QuickBooks-compatible checks to run payroll. Hourly employees enter their time entries into QuickBooks. 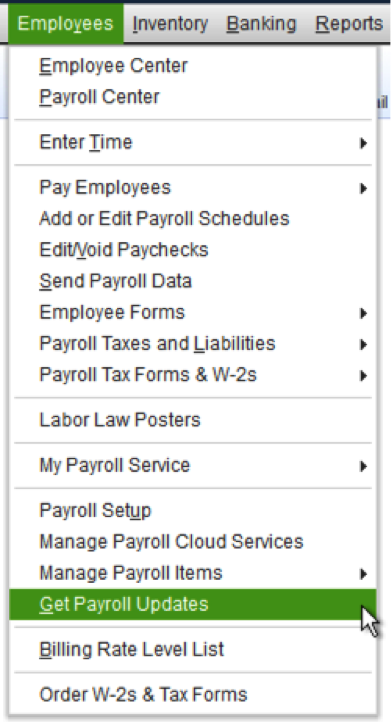 Once the timesheets are approved, then payroll can be processed. When payroll is processed, taxes are withheld based on setup. After payroll is processed, payroll taxes are paid. Repeat this workflow each pay period. At the end of each quarter, the client is required to submit payroll tax returns. It is important to note that for Assisted Payroll Only, the client will need to manually update State Unemployment Tax rates annually. QuickBooks does not include state unemployment insurance or state disability insurance rates in its tax tables. The most efficient solution to set up your clients for success is to recommend that they use a full service payroll solution that provides seamless integration with QuickBooks. The general workflow for these clients is to collect/enter/review time, and then process payroll. 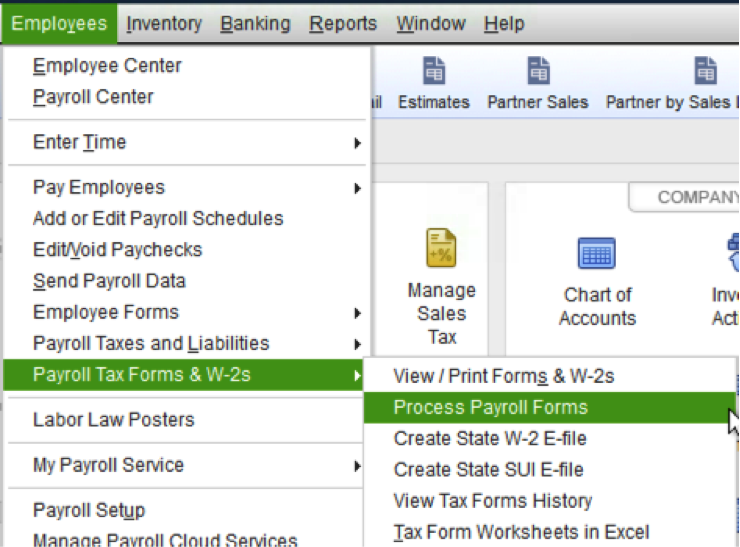 With a turnkey option, the task of paying payroll taxes and payroll tax returns is taken over by Intuit®. Therefore, the client does not have the liability. Educating your clients on the pitfalls of incorrectly processing payroll can save you a ton of trouble and, in the long run, the client money. You want to help them run their businesses efficiently, and they can focus on more important matters by outsourcing the liability that comes along with payroll. Clients who select the enhanced payroll option agreed to make their own payroll tax payments and filings. When you have a new client, we recommend you work closely with the business to make sure it is following the proper workflow and understands all the important steps to be efficient. 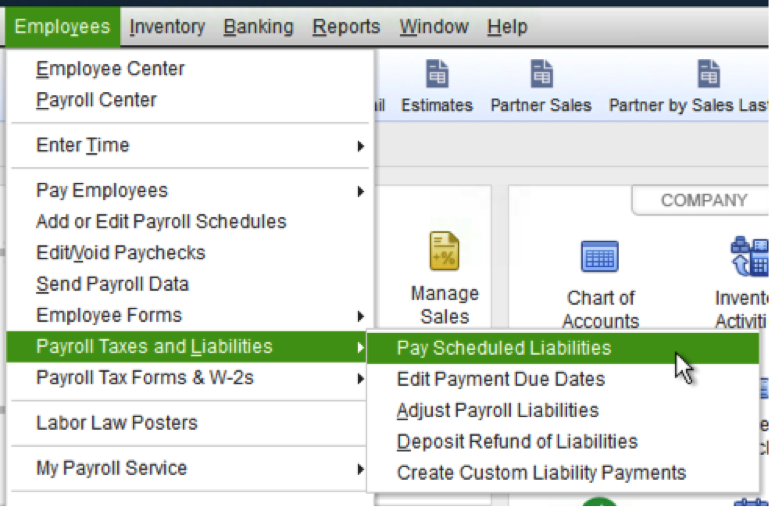 Remember, for the QuickBooks Enhanced Payroll Desktop Version, you want to make sure you have downloaded the latest Payroll Update. Intuit suggests that you do this before every payroll run. Check time sheets and approve. Process payroll and distribute checks or direct deposits. Pay federal tax and record payment. Pay state withholding tax and record payment. To pay these taxes, go through the steps below, and when you are finished, you can run the Payroll Summary Report to make sure everything is paid. File form 941 (e-file through QuickBooks). File state withholding quarterly reconciliation. File and pay State Unemployment Tax Agency (SUTA) quarterly tax return. Record SUTA tax payment in QuickBooks. Pay Federal Unemployment Tax (FUTA) if liable and record in QuickBooks. File and pay local taxes manually. File and pay other withholdings manually. Hand out W2s to employees. File state withholding annual reconciliation. File 940 and record payment in QuickBooks. Make sure your clients budget a block of time for their payroll duties. Even though QuickBooks Payroll makes the process much easier than going through these steps manually, we still recommend you verify and reconcile your information for the year, making sure each quarter ties back to your year-to-date information. As you can see in the details of running your own payroll using Enhanced Payroll, your client will need to be very savvy and competent with payroll in order to not only be efficient, but be in compliance. Take the time to discuss with your clients the value of their time to have the benefit of the payroll “done for you” so they can focus on their own business. This becomes one less worry your clients will have as business owners. Editor’s note: This is the second article in a series of articles on payroll by Carrie Kahn. Be sure to read "How to Choose the Payroll Product That’s Right for Your Client" and "How to Prepare Your Clients to Pay and File Payroll Tax."